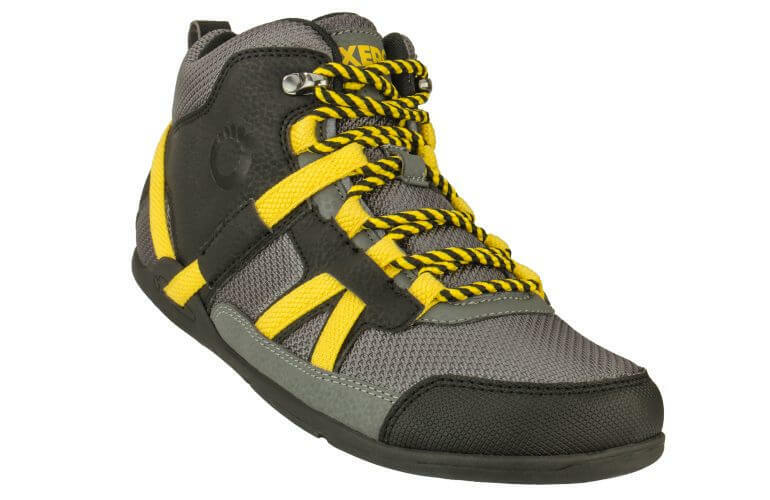 NOTE: The Daylite Hiker has a wider toe box than conventional men's shoes. 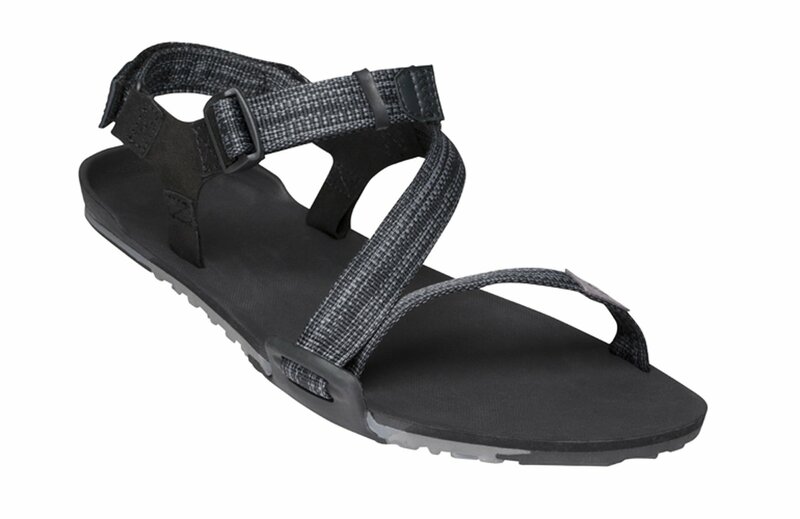 If your feet are particularly narrow, consider the Women's Daylite Hiker. Just make sure to adjust the size by 1.5 (for example, a men's 8 is the same length as a women's 9.5). Most hikes don’t need a big, heavy, technical hiking boot. 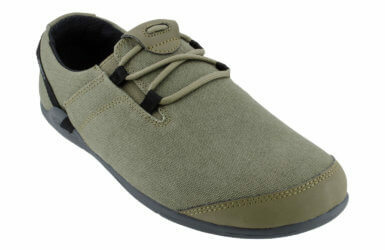 NOTE: The Daylite Hiker has a wider toe box than conventional men’s shoes. If your feet are particularly narrow, consider the Women’s Daylite Hiker. Just make sure to adjust the size by 1.5 (for example, a men’s 8 is the same length as a women’s 9.5). I am VERY HAPPY with those boots! I tried 2 other minimalist boots before buying this pair and ohhh boy they are on a whole other level! I took them 1 size larger than my shoe size and they fit perfectly. They really have the barefoot feel it's incredible! I use them as winter boots and they are warm enough : I just tested them with normal socks at -15°C (5°F) and I could feel the cold a little bit but honestly I enjoy that! I assume that with warm socks, they will do the job for the colder days up here in Canada! I’ve looked for something like the seven year old Merrill gloves or vibrams for a long time. I followed the recommendation of Original Strength founder Tim Anderson in buying this brand. They are really perfect. Wide enough toe box. Seem very durable. I've waited a couple months to review the DayLite hikers so that I could put them through the ringer and here is what I've found. The positives: - Light and comfortable, what I expected from Xero - Flexible sole, which is great for the type of mixed trail running I like to do - For as light as they are they have been durable so far - Attractive styling that mixes well on the street and the trail The neutral aspects: - Outer sole is harder rubber, good for durability, bad for traction on wet rock and ice - Breathability is adequate - Wide toe box is great for comfort but makes technical footwork a little sloppy - Price point is fair The negatives: - They're water resistant but not waterproof, but since the midsole and upper join so close to the ground that has meant wet socks on most hikes when conditions are wet - The tread is not aggressive or particularly sticky - They're not particularly warm and your feet will chill if hiking in snow or on standing on cold ground - Rock hopping can be painful since sharp edges are easily felt through the sole and there is no padding to absorb impact (obviously) Overall I would give about 3.5 to 4 stars. These handily (or should I say footily?) replace my trail running shoes but I think there are some design shortcomings. Primarily, with how thin the soles are. Any puddle of water or amount of snow finds its way into the shoe eventually. It would make sense to make these more waterproof towards the bottom. The chilliness of the shoe can be mitigated with socks (unless they're wet) and the outer sole rubber/traction is really a matter of personal preference. These won't be replacing my approach shoes or winter footwear but will be a regular wear spring to fall. These have been working great for me as snow boots. I always used to hate switching back to regular boots in winter, but now I can feel the ground and still have warm feet even in a few inches of snow! Great boots, very comfortable. It took two tries to get the size right, customer service was great. I haven't had them long enough to speak to durability. The tread isn't aggressive enough for good traction in slick mud or wet snow, otherwise I'd give them five stars. Oh, and the top eyelet should be a hook, but that's really nit picking. DayLite Hiker — Highly Recommended. I’ve owned my DayLite’s for a few months now, and have grown to love these boots. Important things to consider: Heel-toe drop is zero and the sole is very lite and flexible, though is thick enough to mute some of the feel to the foot (something to consider for your needs). The sole along with the insert has very little cushion, and very small arch contours. Toe box is nice and large allowing the feet lots of freedom. Sizing was a bit of a challenge for me as it is recommended to go 1/2-1 full size larger and I chose 1 full size over. My Prio’s, at 1/2 larger, seemed a bit snug though the full size in the DayLite is too much for my liking and I recommend only 1/2 size larger. The upper is bit bulky compared to most of the minimalist gear I’ve seen, and I don’t mind it because it helps give the shoe a more typical size compared to the non-minimal shoes. I have been wearing these in the fall and through the winter nearly daily, and they have been performing well. Temps have been down as low as -17F. Generally I’m not out all day in the low temps, but the boots have good breathability so the feet get a bit too chilly. Walking through some snowy and slushy spots is too much for the water resistance as well. In my opinion, would perform better for warmer and drier weather. 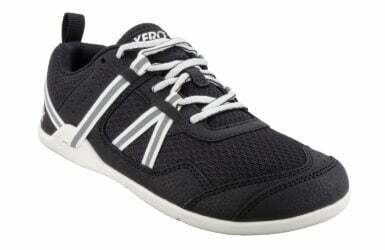 All in all it is a great shoe and I highly recommend it for minimalist and near barefoot applications. I have a very oddly shaped foot, with my heel being significantly less wide than my toes. My mom calls them "pizza feet" because they are shaped like a slice of pizza. I have never felt so comfortable in a pair of shoes. These shoes feel like they are custom made, and I can finally have freedom in my toes and still feel secure in the heel! These are very comfortable! I have very wide feet so chose to buy the men's. I ordered up a half size as recommended and got a great fit. I still think it is a little tighter across the widest part of my foot than preferred, but just barely and when wearing heavy wool winter socks. I have enjoyed them so far!